I am so excited to announce that it is finally here! 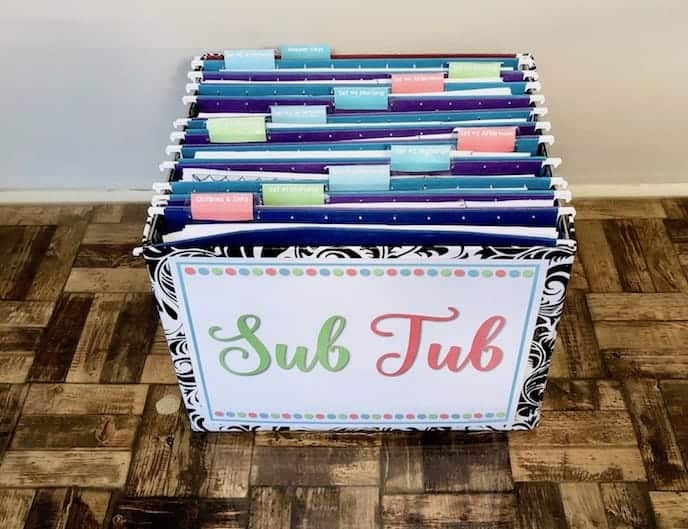 In honor of my new website shop at WifeTeacherMommy.com, I am launching the Love Your Sub Tub Giveaway... which is the biggest and best teacher giveaway EVER! Several other prizes will be given to either random winners or to those who get the most points. 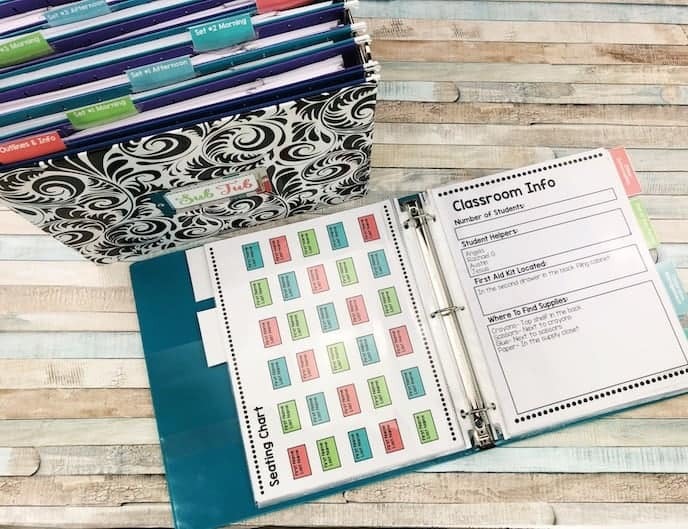 These include items such as teacher tees, teacher lanyard, laminator, gift cards (my shop, Target, and Amazon). And, this is the only giveaway I have EVER hosted where EVERYONE can win something! 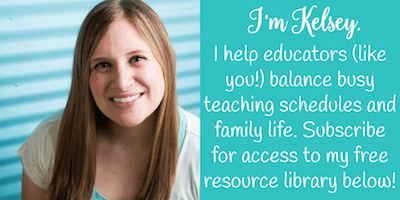 Yes… ANYONE can win a $5 credit to the brand new WifeTeacherMommy.com website! 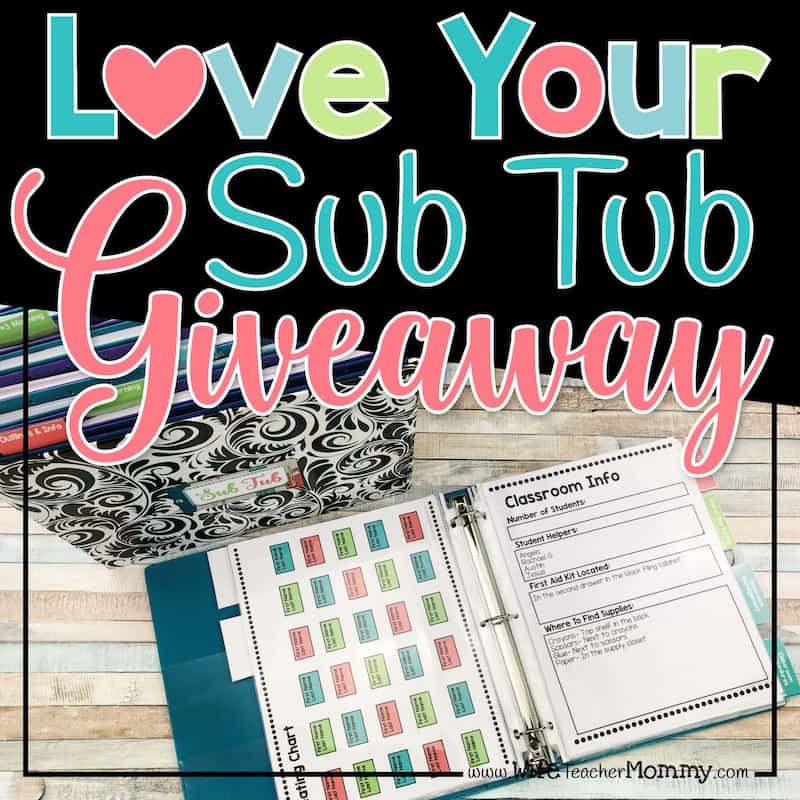 I know it can be discouraging to take time entering a giveaway with only a slim chance of winning… but this time, you can get a prize simply by completing the steps of the Love Your Sub Tub Giveaway. 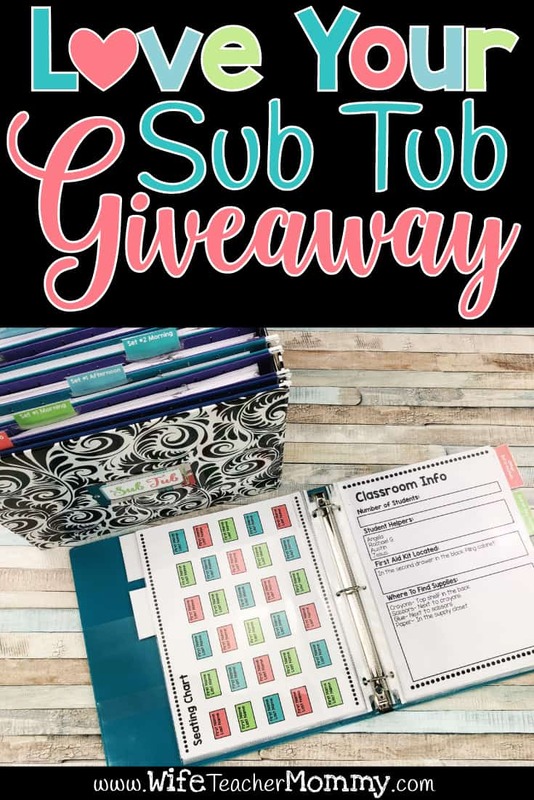 You just need to earn 100 points by referring friends via your own special link, following on social media, and engaging with the Wife Teacher Mommy community! It doesn’t take long to get to 100 points. The giveaway has begun, and is planned to end Feb. 28. CLICK HERE TO ENTER THE GIVEAWAY! In addition to the giveaway, I am also holding a sale! You can also save 20% off any purchase of $20 or more during the giveaway using coupon code LOVE20. This CAN be combined with the $5 credit you can earn by getting 100 points during the giveaway. How long did it take you to write each set of emergency sub plans? This is an awesome resource that you clearly have out a lot of time into. Thank you! Thanks for creating such an amazing resource ! Wow! I am a veteran teacher and I have never come across such a helpful blog! Thank you for this great resource! I just purchased the long term/short term sub plans! I am so excited to have a formatted system to present to a visiting teacher! This is awesome!